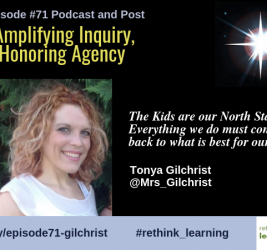 Episode #71 is with Tonya Gilchrist Tonya Gilchrist who is an internationally experienced educator, presenter, consultant, instructional coach, and curriculum specialist. 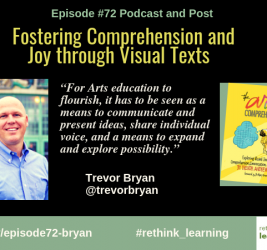 She specializes in amplifying inquiry across reading and writing workshops and effectively utilizing the workshop model in host country languages. 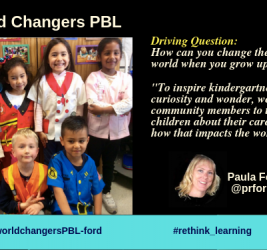 Paula Ford, a Kindergarten teacher in Cupertino, CA, shares the Driving Question for this World Changers PBL: How can you change the world when you grow up? 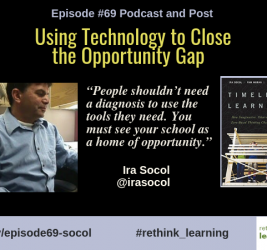 Paula shares how the kids took the process seriously and chose careers that could change the world. 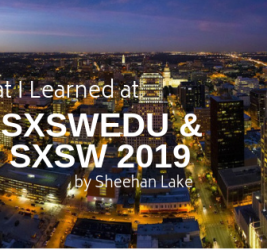 A cross-post from Sheehan Lake in his 3/20/19 LinkedIn post “What I Learned at SXSW about his first visit to SXSW EDU and the first few days of SXSW. 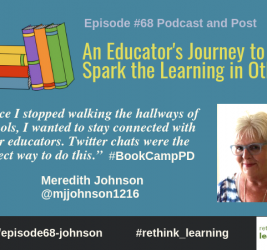 Sheehan shares his reflections of both events, sessions, and shares people who he met during the conferences. 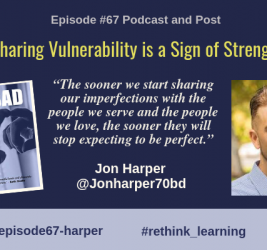 Episode #67 is the podcast and post with Jon Harper sharing his journey as an educator, coach, administrator, host of two podcasts, and author of his new book My Bad. 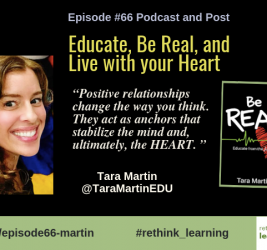 Episode #66 is with Tara Martin who is an inspirational speaker and author of Be REAL: Educate from the Heart. 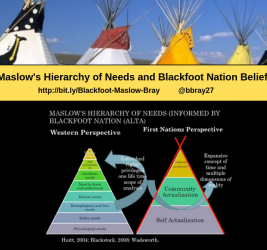 She firmly believes machines and artificial intelligence will never replicate an individual’s REAL identity–the unique strengths, talents and life experiences of every human. 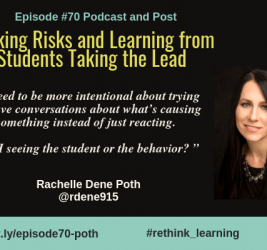 Fun conversation you don’t want to miss. Enjoy!